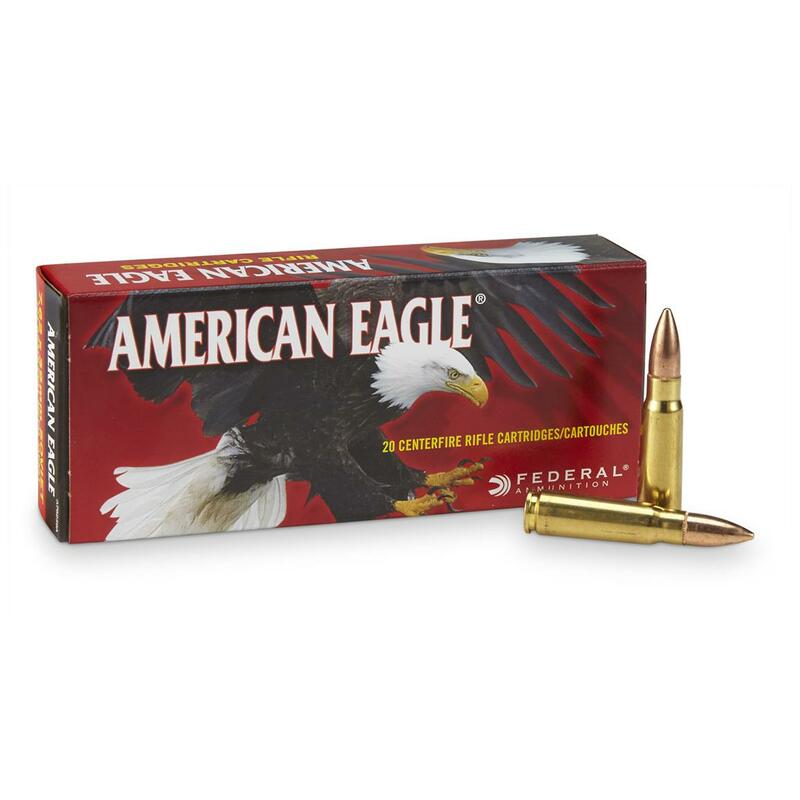 Federal® American Eagle® is designed specifically for target shooting, training and practice. It's loaded to the same specifications as Federal's Premium loads, but at a more practical price for plinking. Federal American Eagle, 7.62x39mm, FMJ, 124 Grain, 20 Rounds is rated 4.8 out of 5 by 4. Rated 5 out of 5 by Asheville762 from Works great in my Mini 30. Rated 4 out of 5 by MICHAEL from Haven't used it yet but looks good and well packaged. Rated 5 out of 5 by VINCENT from Outstanding for low velocity Hollow Points for .45's. Rated 5 out of 5 by GAITHER from Great product with good and consistent results!